The customer had a need to analyze the performance of a product to enhance vascular surgical technique. The necessary life cycle is, by design, quite lengthy, making it difficult to observe accurately by hand. They needed to automate the system to closely monitor a set of sample vessels. The system is capable of simulating a variety of physiological conditions to provide stresses on the samples. Unlike a human observer, the system is able to watch the entire process for days at a time and observe the very precise time and conditions of failure. We created a system consisting of a LabVIEW touch screen application running on thin-client PC. A combination of USB DAQ and custom hardware was created to provide control and measurement. This system was created using USB DAQ and custom circuitry for I/O interfacing. 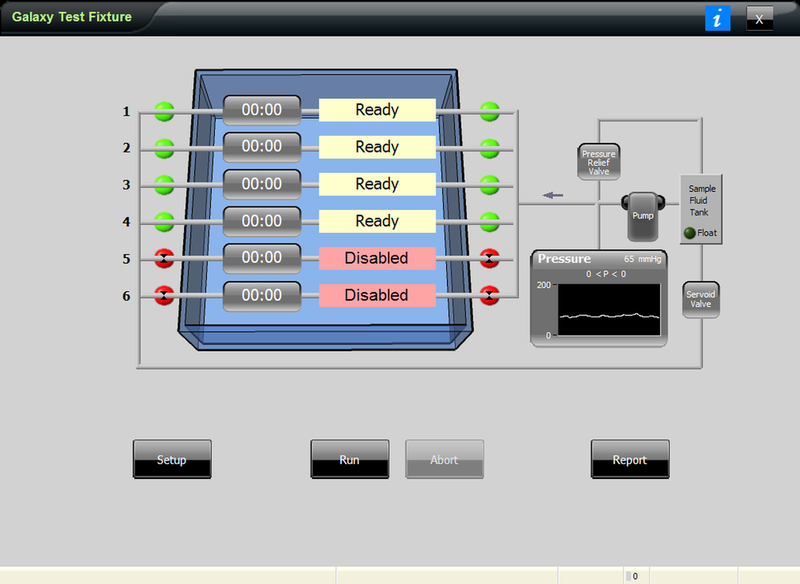 The software was developed in LabVIEW using the S5 Solutions ALOHA system.